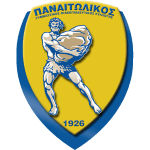 Stunning 82% of Panaitolikos' football players are right footers and so is Vlad Morar. Having been born in 1993, on August 01, Vlad Morar's age of 25 makes him senior to the average player of Panaitolikos. He stands 183cm high and thus is 5cm taller than his team on average. Back in 2017, Romanian forward Vlad Morar's contract with Panaitolikos (Greece), the club he is still a member of, took effect. He is currently seventh in Super League (Greece) and third in group Gr. 3 of Greece Cup (Greece) with his team Panaitolikos. Until now, he has been present in 18 games. Besides Vlad Morar, there are four more forwards in Panaitolikos'' lot: Stathis Vasiloudis, Alhassan Kamara, Nicolas Mana and Admir Bajrovic. As for winning percentages, he won with Panaitolikos 40% of their home matches (30% in total) in Super League and not a single recent match in Greece Cup. Unfortunately, his team recorded no wins in the last 5 games, registering a 4-games-in-a-row loss-streak. In his footballer career, a total of 19 cards were ascribed to Vlad Morar. While thus obtaining an average of 1.19 cards per term, he has not even gotten any yet, for now. It's been 39 days since he played his latest match. His shortest spell with a club was five months in Asa Targu Mures (Romania). 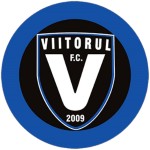 Vlad Morar managed to attract a lot of good feedback after his performance at FC Viitorul Constanta, the team he was subjected to before joining Panaitolikos. The longest period that he stayed in a team was two years and 3 months in FC Petrolul Ploiesti (Romania) Panaitolikos'' number 73 is Vlad Morar. He impressed in Super League 17/18 (Greece), reaching his personal record of match appearances as well as goals. In the recent term, he managed to find the net six times and provided not once additional assists which accounts for 18.8% of Panaitolikos'' goals in Super League 18/19 (Greece). He scored an average of 0.3 goals and provided 0 assists per game so far, marking a slightly impaired performance when compared to last season, when he had 0.3 strikes and 0 assists per match. Altogether, Vlad Morar was substituted in 36 and out 30 times. Currently, he left the pit more than he entered it which is different to last season wherein he showed an equal amount of both types of subs. At 165.35lb, he carries 4lb more than the average Panaitolikos player.